Our receivables services can help you accelerate collections and reduce risk. Our Treasury Management team specializes in customizing a suite of support solutions to improve transaction processes and create efficiencies. We evaluate and add new services on an ongoing basis to ensure your needs are met. Remote Deposit Capture allows you to deposit checks without a trip to the bank. 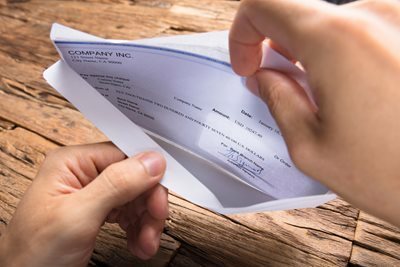 You can scan checks from your place of business directly into your First National 1870 business account, giving you more time to focus on your business. Remote deposit capture is a secure method for depositing checks with customizable options for user permissions, approval limits, and management review. Wholesale Lockbox provides online images of remittance information, checks, and related correspondence. Retail Lockbox includes coupon scanning of critical information that can be included in a daily transmission to your system. Property Management Lockbox reduces the time needed to process assessment and rental payments, enabling property management companies to improve cash flow. Health Care Lockbox is a solution extending beyond basic lockbox processing to meet the specific needs of health care providers. Our Health Care Lockbox offers providers a suite of end-to-end revenue cycle management tools. We offer outstanding merchant credit and debit card processing through a partnership with a leading merchant provider. ACH is a cost-effective way to originate and receive funds electronically. Our ACH Manager service allows your business to securely expedite the processing of incoming receivables.